Rye Bed and Breakfast Accommodation, East Sussex. Hotel-quality 5-Star Luxury Rye B and B. Beautiful countryside with the coast nearby. Between Rye & Hastings. Rye Bed and Breakfast Accommodation, East Sussex. Hotel-quality 5-Star Luxury Rye B and B. Beautiful countryside with the coast nearby. Between Rye & Hastings. POPPY ROOM – Super King or Twin Bedded ensuite room. Superior room with that extra touch of luxury. The room has a super king sized bed and every comfort with superb views and an enormous en-suite bathroom. Ideal for a special treat or longer stay with spacious wardrobes and plenty of room to relax. Poppy is available with either a super king sized bed or comfortable twin beds. Please state your preference when booking. Indulge yourself in this new luxurious ensuite bathroom. 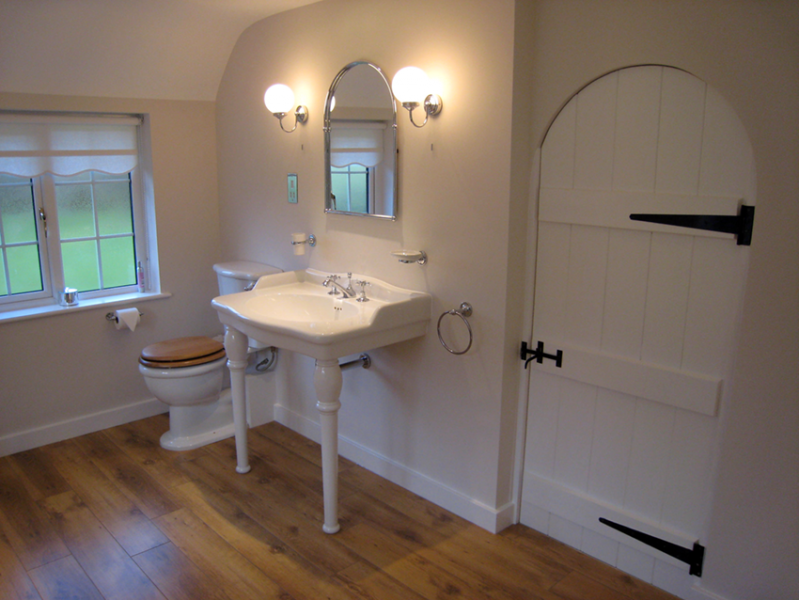 It has a fabulous boat bath, spacious walk in shower and super sized Victorian washbasin. Includes Molton Brown toiletries, fluffy towels and cosy robes. POPPY ROOM RATE £110 TO £120 PER NIGHT. Price fully inclusive and based on two people sharing with full english breakfast and on-site parking. 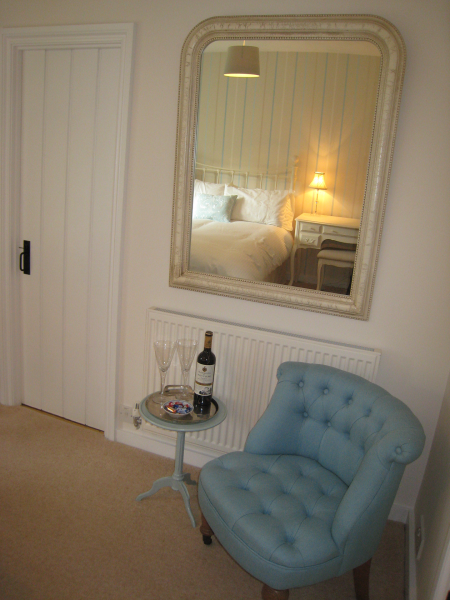 BLUEBELL ROOM – Double Room ensuite with Roll Top Bath and Power Shower. Watch the badgers and rare birds from this pretty, relaxing room overlooking the stream. Extremely comfortable bed with Harrison pocket sprung mattress. Room includes a Flat screen TV, clock radio and hair dryer. 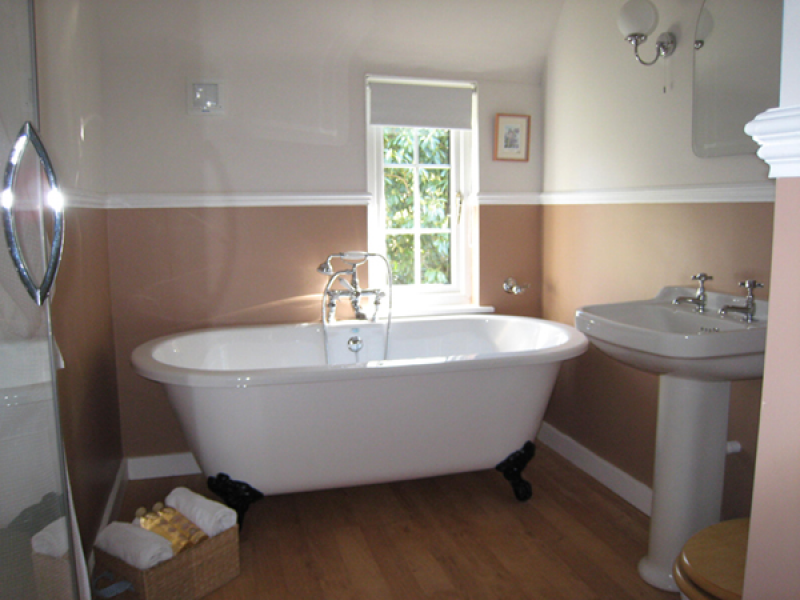 Relax in this lovely en-suite bathroom. 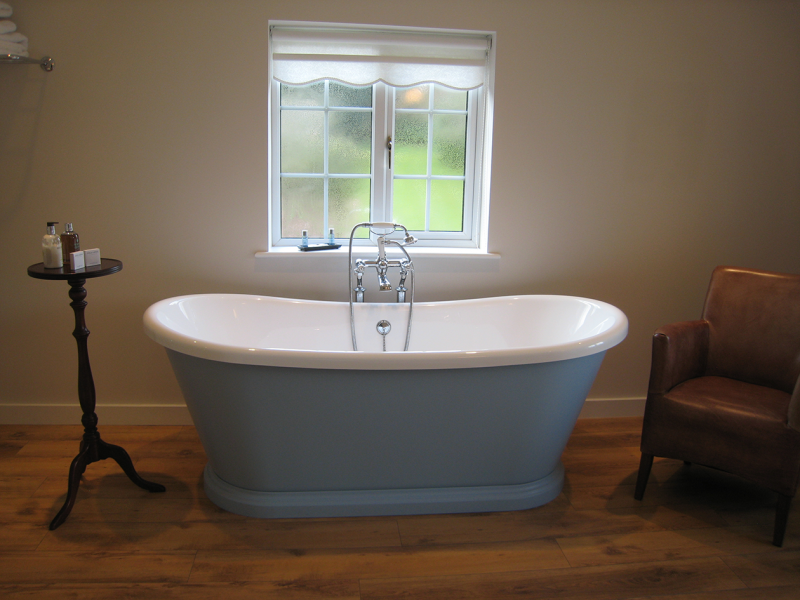 It has a gorgeous roll top bath, Molton Brown toiletries, fluffy towels and cosy robes. 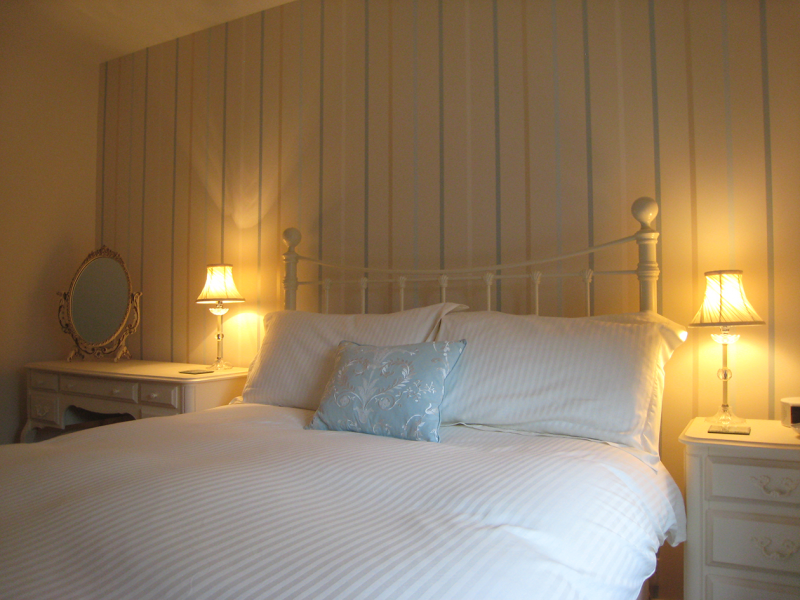 BLUEBELL ROOM RATE £95 TO £100 PER NIGHT. 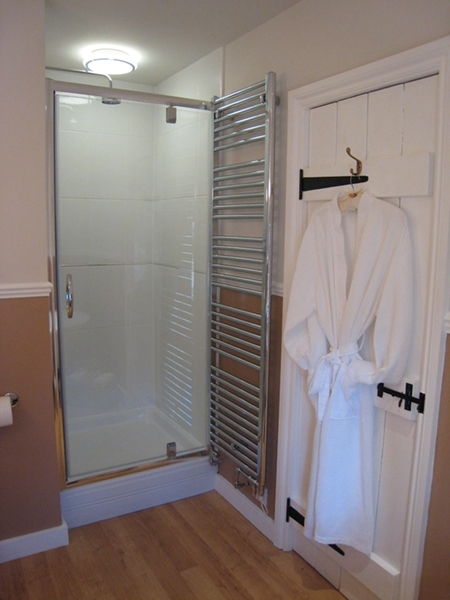 CORNFLOWER ROOM – Double Room with ensuite Shower Room. 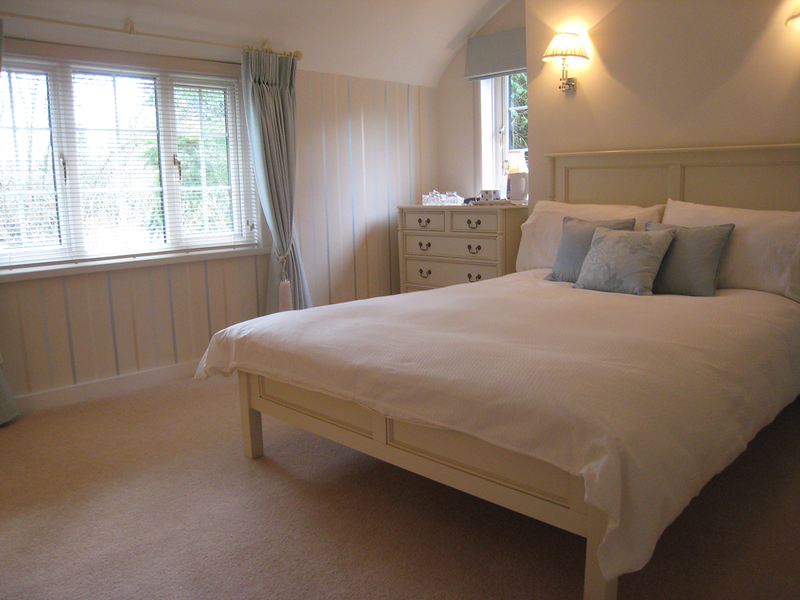 Redesigned using Laura Ashley Furnishings to provide a light and airy look. 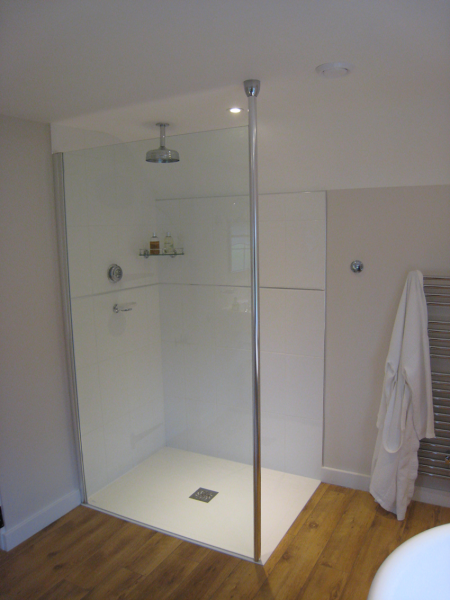 A lovely room with en-suite shower room. 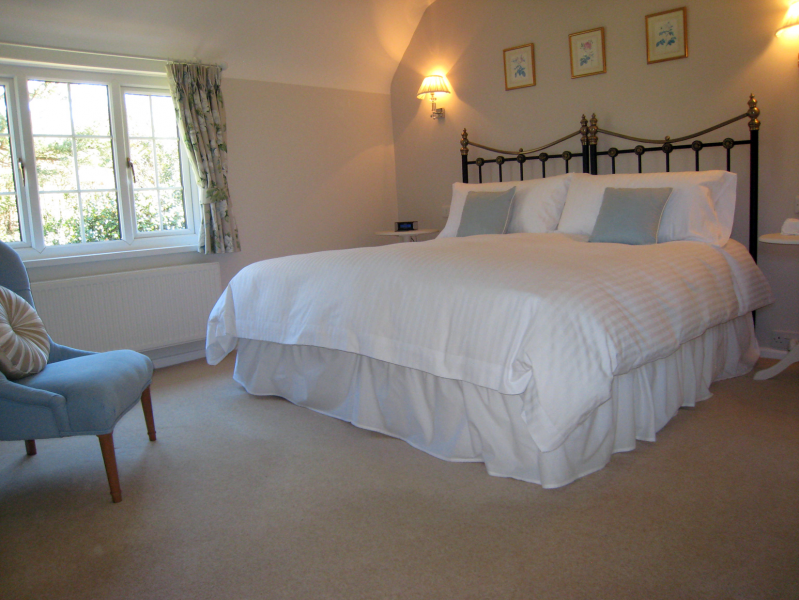 CORNFLOWER ROOM RATE PER NIGHT – £90 (room only) OR £100 (with breakfast). Price fully inclusive and based on two people sharing. With full English breakfast and on-site parking. Single rate £70. A deposit is required equal to your first night’s stay in order to secure a booking. See terms and conditions. 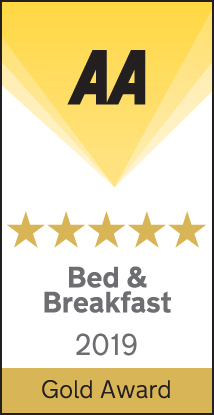 “Having stayed a number of times at Stream House Rye B&B I can confirm the five Star rating. The Poppy Room is large and roomy with views to the side and back of the house. The bathroom overlooks the front and the fish pond. The whole house is tastefully decorated and the owners help in anyway that they can. The full English breakfast is fantastic so you have to look out for your waste line. On a nice evening sitting by the fish pond and letting the day pass in a beautiful garden. Who wants more?” Family from Germany. a better place to stay in Rye and Hastings area! Click HERE to see what visitors have to say about their stay at Stream House Bed and Breakfast Rye. “…Stream House Rye B&B is absolutely beautiful as are the grounds and the hosts Sandra and Steve. The B&B is the perfect place to stay. The bath was amazing in the poppy room, we will definitely be going back. The breakfast was lovely as was everything”.